I know it sounds a little ridiculous to describe a teething ring as divine, but in the world of Dove and Dovelet, it truly is a fitting description. Ready to feast your eyes upon some supreme teething style for bub? Click on through! My pick of the teething ring contenders is the Venus Teether, $30. Beautifully created using coloured BPA free silicone beads and Eco maple rings and heart, Dove and Dovelet make sure your precious baby isn’t chewing on any hidden nasties. Available in black, grey, blush and mint, the Venus Teether is packaged in a travel bag to keep it clean in your handbag, ready for a fussy bub in an instant. 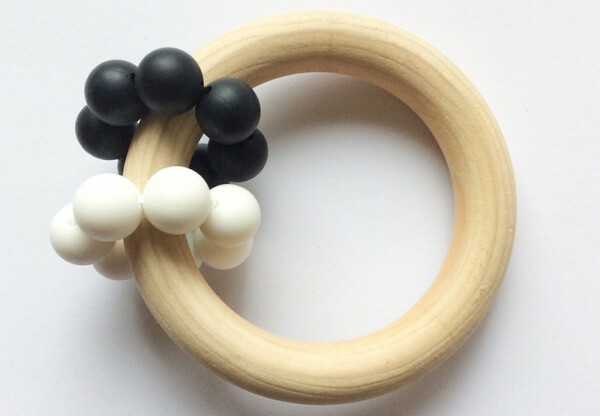 Also worthy of a stylish mention are the monochrome teething rings. 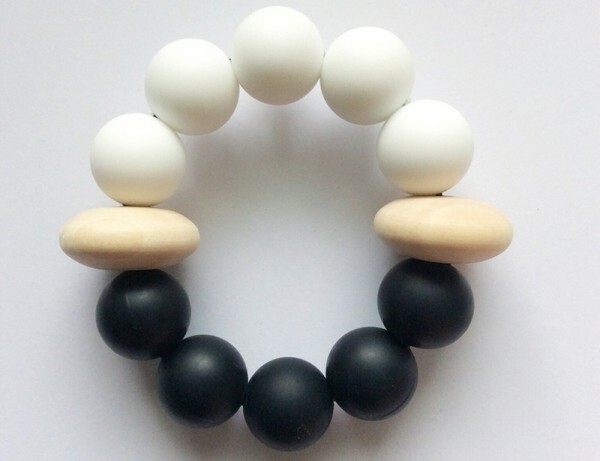 The Polarity Teether, $25, is sweet and simple with black and white silicone beads set apart by a pair of stunning maple accents. Lovers of the natural maple look will adore the Magic Rings Teether, $30, a visual delight for young babies. For the perfect baby shower gift which is both beautiful and budget friendly, head on over to Dove and Dovelet.